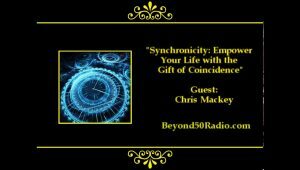 The link below leads to a youtube clip of Chris’s radio interview on synchronicity with Daniel Davis of Beyond 50 radio in Portland, Oregon, on Wednesday 2nd March 2016. It includes such themes as personal and client examples of synchronicity, synchronicity and science, the role of synchronicity in finding one’s destiny or calling, and an intriguing story about Tom Petty and The Traveling Wilburies. The book, Synchronicity: Empower your life with the gift of coincidence is now available in many bookstores in Australia, UK and US, but can also be purchased online.